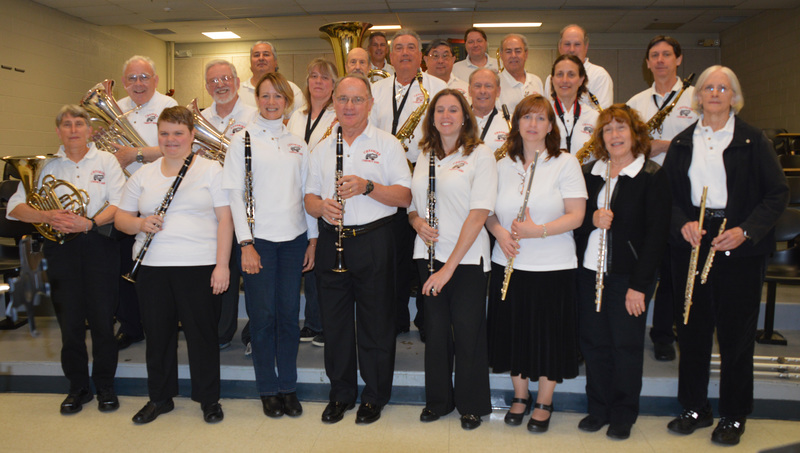 Cheshire Community Band is a group of experienced amateur musicians that love to play a variety of music. The organization has existed since 1993. It was formed in Cheshire, but we accept residents of any neighboring towns. We welcome all interested players to try us out. We are especially in need of: clarinets, french horns, low brass, baritone sax, and percussion at this time. Take a look at our repertoire and see the wide variety of music we play. Play with us for a year and you will notice that you are a better musician. The Cheshire Community Band plays a number of concerts throughout the year. We perform for civic functions such as the Memorial Day ceremonies and the Strawberry Festival. We also provide entertainment at assisted living and retirement facilities. To minimize schedule conflicts, our concerts usually replace one of our rehearsals, i.e. on Wednesday nights. We also may have events on weekend afternoons or evenings. For concert information see the concerts link . How Can I Book the Cheshire Community Band? The Cheshire Community Band rehearses most of the year and a concert can be arranged by contacting us via our online webform. Cheshire Community Band Copyright © 2019.